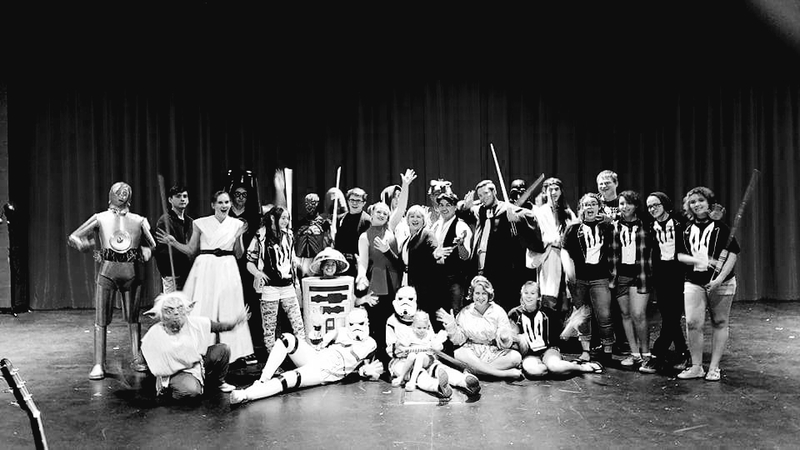 Off The Wall Youth Theatre Program is instructed by Cyndie Klorer, a certified paraeducator with over 20 years experience in education, and nearly 30 years experience as a director and performer. Cyndie is certified in Theater Arts Management and maintained a performing arts center for four years before founding Fourth Wall Entertainment Troupe. 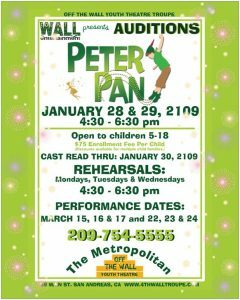 By joining Off The Wall, your child will learn valuable skills relating to acting, singing, dancing, respect, and teamwork. A *fee of $75 per production is requested for your child’s enrollment. This helps offset the fees associated with producing plays. Rehearsals will be held at the Metropolitan Mondays – Wednesdays, 4:30-6:30. Children under 12 are required to have a guardian present at rehearsals.